This topic contains 1 reply, has 2 voices, and was last updated by PeppaPig 1 year, 2 months ago. Here is a tutorial that will allow you to close/start programs when a game is launched, and same when it ends. A little disclaimer first : this tutorial uses command lines. Follow it only if you are sure of what you are doing. Using incorrect command lines can be dangerous for your computer. And the usual : I may not be held responsible for any harm that your manipulations on GameRoom could have produced. Fine, we can now proceed. The process is quite the same, so let’s first show case 1. In the “Settings” screen, go to the “On Game Start” tab. You should see two new fields, “Before Starting” and “After stopping”. In both of them, you should input command lines to execute before/after a game’s execution. First, you need to get the application’s path and executable’s name. If you don’t know how to do it, you can follow this small tutorial. where /F is an option to force kill the program. Beware, this will of course not save any changes done in your program! start "" "C:\Program Files (x86)\Google\Drive\googledrivesync.exe"
Do not forget the "" before the app’s path, those are important ! If you wish, you can also add options following the app path to start it minimized for example. And this is it! 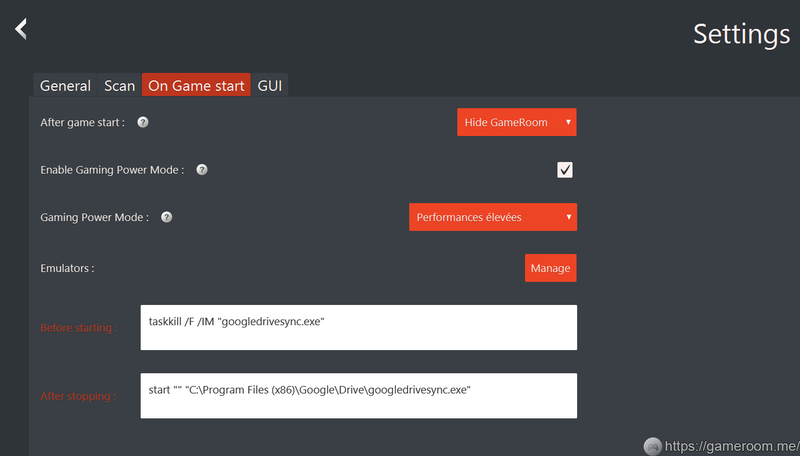 For every game started/closed, GameRoom will execute these commands before/after the game’s execution, killing our software’s process and restarting it afterwards. 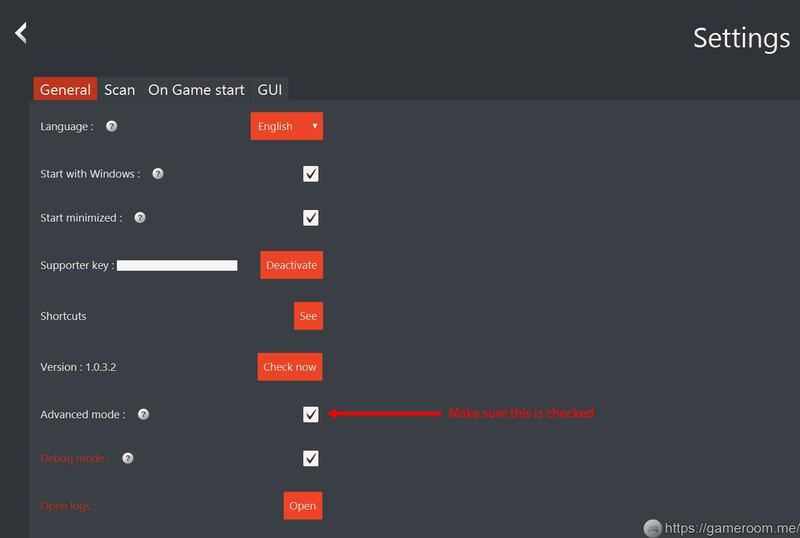 To get it to work per game only, you only need to edit your game and set those commands into the “Before starting” and “After stopping” fields dedicated to this game. Thanks for reading, and have fun gaming ! %p: game’s path (usually last). %a: game’s arguments (usually before path, allows you to set for each game a different config). This topic was modified 1 year, 9 months ago by n0xew. This topic was modified 1 year, 1 month ago by n0xew. Thank you or this cool feature. Could you please add some variables we can add in these fields? Thank you by advance. This software has a great potential, I just bought the key.